MoveGreen organises study tours for university groups. The aim of our study tours is to provide participants with focused learning (theory and practice), connection with local culture and communities, partnerships with local students, and a positive and rich experience in the Kyrgyz Republic. Ideal for students studying natural resources governance; environmental management, policy or law; climate change adaptation and resilience issues; conservation and biodiversity; and sustainable development. Students participate in a four-day field trip, visit local and international NGOs, meet local community members and local government, experience traditional rural daily life, life in a post-Soviet city, and engage with local students. As programme activities include hiking at high altitude (3000m+), participants must be able-bodied with a good level of fitness. The study tour will take place with a minimum of 14 students and will accept no more than 20 participants. Organisers are English-speaking with Master’s degrees in a relevant field. Study tour language is English (translators provided where necessary). 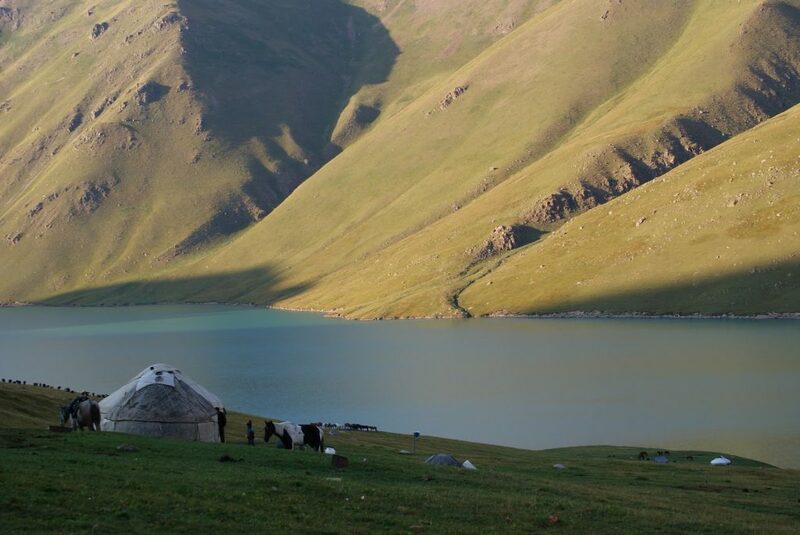 Cost covers travel to and within the Kyrgyz Republic (return flight from a major European city), accommodation, three meals per day, all programme activities, facilitators, all additional guides, and a donation to MoveGreen. Not included: Travel/health insurance and extra spending money. Day 1: After arrival in Bishkek and transferal to the hotel, take part in a city walking tour (optional), meet other participants and facilitators, and enjoy an introduction to the Kyrgyz Republic. Day 2: Case study: Climate change, resilience and adaptation. Join a workshop on climate change in Central Asia, then visit one local and one international NGO working on climate change issues. In the evening, attend a cultural event (optional). Day 3: Case study: Energy governance. Attend an interactive workshop and learn about the fascinating and complex topic of energy in Central Asia, followed by an energy tour of Bishkek. Day 4: Case study: Sustainable development. A panel discussion with development practitioners will focus on sustainable development issues in the Kyrgyz Republic. Afterwards, take part in an interactive workshop working through real-life case studies and scenarios. In the evening, attend a cultural event (optional). Day 5: Case study: Conservation and biodiversity. Drive to the beautiful Ala-Archa National Park and learn from an experienced biologist and conservation worker about the local ecosystems and challenges they face. Following this, hike through the valley to a waterfall (approx. 6 hours return), then return to Bishkek. Day 6: Case study: land management (pastures). Join an all-day workshop on pasture management, and experience decision-making around pasture management issues, explored through role-plays and case-study scenarios. Day 7: Field trip (day 1). Drive to the central Kyrgyz Republic then spend the afternoon in a regional village. Attend a cultural activity (optional), and stay with a host family. Day 8: Field trip (day 2). Early morning drive to a small village from where the hike to the yurt camp begins. Hike approx. 5 hours with a break for lunch. Overnight in a yurt. Day 9: Field trip (day 3). Hike to a glacier and glacial lake and discuss issues of pasture management, climate change, conservation, and sustainable development. Overnight in a yurt. Day 10: Field trip (day 4). Early morning hike from the yurt camp to the small village (approx. 5 hours) and return to Bishkek by car. Day 11: Enjoy a free day with time for preparation for the seminar and sightseeing (optional). Day 12: Participate in an all-day seminar on natural resources governance issues with local university students, focusing on the study tour’s case studies. In the evening join a final farewell dinner and mini awards ceremony. Day 13: A taxi will be arranged for a transport to the airport. Fly out.